Bigg Boss: Bigg Boss is the Indian version of the popular reality television game show, Big Brother. Bigg Boss is a popular reality television game show. It is the Indian version of the Big Brother. Big Brother is a reality television game show created by the Dutch-based international television production firm, Endemol. Various version of the show have been running continuously since 1999 in one form or another. Bigg Boss was first aired in 2006. In the show, a certain number of contestants are made to live together in one house without any contact from the outside. The contestant and house is under constant observation, the footage from which is then edited and aired each episode. What is the premise of Bigg Boss? The main premise of the show is the 15 to 20 contestants, who have to live in one house with each other, for approximately 3 months. The contestants are usually local celebrities, except one who is a non-celebrity selected via auditions. The house is a large house, which is usually constructed specially for the show, which also makes it easier to outfit the house with hidden cameras and microphones. These cameras and microphones record the house and the contestants 24 hours a day, the footage of which is edited and broadcasted for the audiences. The contestants are completely cut off from the outside world. They have no contact from their loved ones and no access to television, internet or newspapers. The contestants have to live in a basic environment, without any luxuries. However, the use of certain utilities and luxuries may be offered as a prize of the weekly tasks and competitions, which are set by Bigg Boss. The contestants also have access to the Confession Room, where they have to their thoughts, feelings, and frustrations, as well as reveal their two nominees for the weekly eviction. Each week, the contestant must nominate another contestant for eviction. The audience then gets to vote on the selected contestants and decide who stays and who goes. The last remaining contestant is then announced the winner and usually wins a final cash prize. How does Bigg Boss differ from Big Brother? The premise of Bigg Boss and Bid Brother are entirely same, with one main difference: Bigg Boss follows the concept of Celebrity Big Brother. In Celebrity Big Brother, Instead of the average Joe, the show uses local celebrities as contestants. All contestants of Bigg Boss are local celebrities, usually TV artists, aspiring models, or fading actors, except one who is a non-celebrity selected via auditions. What are the rules of the Bigg Boss house? The inmates are not permitted to talk in any other language than Hindi. The inmates are not supposed to tamper with any of the electronic equipment or any other thing in the House. The inmates cannot leave the House premises at any time except when permitted to. The inmates cannot discuss the nomination process with anyone. The inmates cannot sleep during the day. Breaking of rules can either lead to direct nomination for eviction. If the matter is very serious, then the contestant may be evicted directly by Bigg Boss. When was Bigg Boss started? The first season of Bigg Boss was aired on Sony TV. The season aired from 3 November 2006 to 26 January 2007. It was hosted by the actor, Arshad Warsi. The show has since aired consecutively for six seasons. The 7th season of Bigg Boss will air from 15 September 2013 to 18 December 2013 and will be hosted by Salman Khan. The show is aired daily. At times a special 2-hour episode may be aired on Sundays, in lieu of the normal hour-length. The daily episodes contain the main happenings of the previous day. Whereas, Friday includes the weekly eviction. Saturday’s episode mainly focuses on an interview of the evicted contestant by the host. Sunday’s episode, however, varies: it may include a special event; usually it shows extra footage of the week, which was not included in any episode. What has Bigg Boss been criticized for? 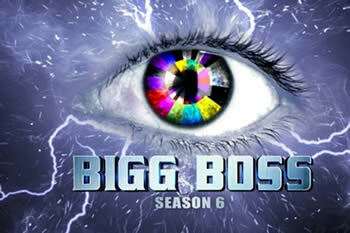 Viewers have criticized Bigg Boss as being scripted and the elections as being rigged. During the fifth season, many viewers noticed that the least controversial housemate of the week, who did not get into that many fights with other housemates, was often evicted. Audiences claimed that it was because that housemate failed to garner publicity and increase Television Rating Points (TRPs). Zee News was noted as saying, "Barring a few educated and well-mannered celebrities, most of the Bigg Boss contestants have utterly failed to exercise self-restraint. As, the format of the show is such that they often fail to maintain their composure and mostly reveal a fake personality. Abuses fly thick and fast in the house, whereas morality, ethos and ethics take a backseat. The fear of eviction makes them selfish and diplomatic, compels them to switch sides for personal gains, and indulge in propaganda". The show has also often re-introduced a housemate back into the house as the “wild-card entry.” This was mainly done as a ‘twist in the plot’ in order to raise TRPs. The wild-card entry is often a controversial housemate who had been previously evicted. Many of the contestants on the show, such as Shakti Kapoor and Pooja Bedi have come forward to state that the show is pre-scripted and that the elections do appear to be rigged. There have often been allegations of partiality towards specific housemates. This is mainly considering how certain housemates tend to stay till the end weeks of the show, despite being the least liked by the other housemates and audiences in general. Furthermore, hosts are also accused of interfering and manipulating housemates, audiences and the results. The are often criticized for being partial towards certain housemates. Vindu Dara Singh is the oldest Bigg Boss winner to date with Ashutosh Kaushik being the youngest. While Vindu won the title when he was 41 years old, Ashutosh won when he was 28. Pooja Misrra has received the most eviction votes in the history of Bigg Boss i.e. 35. Mahek Chahal and Sapna Bhavnani have been put up for eviction the most times in the history of the show with a total of 8 nominations. Both survived 7 of them. No wild card entry has won the show to date. Salman Khan has been accused of favoritism towards specific housemates throughout his tenure as presenter for Bigg Boss. Shweta Tiwari and Urvashi Dholakia, winners of Season 4 and 6 respectively, have been co-stars in the past working in the soap Kasautii Zindagii Kay which ended in 2008. Ironically Shweta was the protagonist and Urvashi the antagonist for the same daily serial that aired on the rival channel Star Plus. All three of the winners Shweta Tiwari, Juhi Parmar and Urvashi Dholakia have previously been a part of main cast in Ekta Kapoor's serials which aired on Star Plus. Bigg Boss 4 is the only adaptation in the history of Big Brother to have a live wedding during the season. Navjot Singh Sidhu in the only housemate to have stayed for longest period inside the house with zero eviction votes. Ashutosh Kaushik received the maximum eviction votes i.e. 29 during the respective season and still emerged as the winner. He was closely followed by Vindu Dara Singh who had the same fate but slightly a lesser number of total votes i.e. 27. Housemates with the highest number of eviction votes received during their respective season are Roopali (Season 1, 6th place), Ashutosh(Season 2, Winner), Vindu (Season 3, Winner), Veena (Season 4, 6th place), Pooja M. (Season 5, 10th place) and Sapna (Season 6, 7th place). 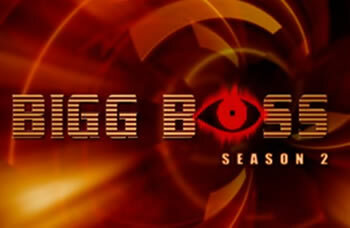 Bigg Boss 3 was the shortest season of the series with just 84 days of run in total. Devender alia Bunty who was made the House Captain on Day 1 during the fourth season was the first contestant in the history of the show who refused to nominate any housemate for eviction. Consequently he was placed against public vote and eventually expelled from the house as punishment. Jade Goody was the first international contestant to be featured on the show. Sonika Kaliraman was the first and only pregnant housemate in the history of Big Brother franchise.